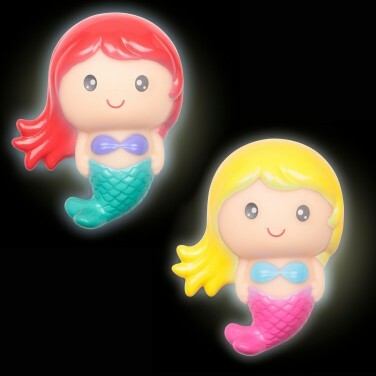 Float a mermaid bath toy in your child's bath and enjoy colour change light effects that will mesmerise! 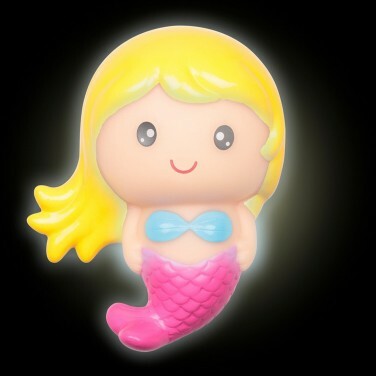 A cute companion for bath time, this sweet mermaid bath toy lights up with colour change effects when she floats on the water! 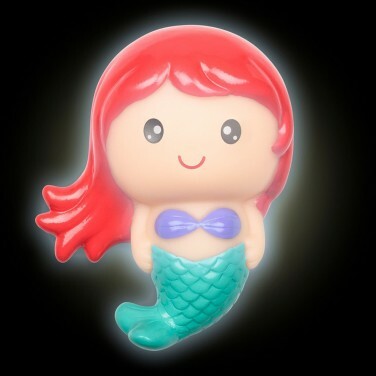 Available with red or blonde hair, this cute bath toy will encourage even the most reluctant of bathers to enjoy the bath as she shines with a colourful light show as soon as she hits the water! Simply dry the sensors on the back of the head to switch off again ready for your child's next marine encounter!